Gradually, more companies are seeking to become family friendly by offering working conditions that consider the needs of working parents. This has included longer maternity leaves, family leave for fathers as well as mothers, provisions for nursing mothers, and perhaps most important, on-site day-care. Apparently, the corporate world is trying to retain more women employees and improve gender diversity among senior employees by helping them deal with family responsibilities while trying to hold down full-time jobs. A new perk recently noted is that of providing a life coach to an expectant or new mother. Life coaching is itself a rather recent phenomenon although the role of coaches in sports is well known. Life coaching has joined a number of various therapies, modes of intervention, and self-improvement approaches that have appeared and gained in popularity with the decline of more traditional therapies. Psychoanalysis and older forms of psychotherapy have lost favor because of the length of time, cost, and questionable insurance coverage involved. Life coaching differs in that it does not involve a person’s whole life story but rather focuses on specific personal goals that may relate to professional or business success, transitions in life, or personal or professional relationships. It is a process that examines what is going on right now, what an individual’s obstacles or challenges might be, and choosing a course of action that will accomplish one’s goals. Apparently, the purpose of coaching expectant and new mothers is to help them prepare for the transitions of both parental leave and return to work following maternity leave, and to set goals in meeting the new demands of combined work and parenting. It is hard to imagine how expectant mothers can set goals ahead of time for managing the dual responsibilities that await them. Most new parents say the experience of having a newborn does not match anything they had been told or thought they were prepared for. D.W. Winnicott, the British pediatrician and psychiatrist who developed numerous theories about mothering, wrote about what he called Primary Maternal Preoccupation. His idea was that immediately after giving birth the mother becomes preoccupied with the infant to the point where everything and everyone else plays a secondary role. This idea was expanded upon by psychiatrist/researcher Daniel Stern who wrote about the “Motherhood Constellation,” a period in which women shift their attention and priorities of concern after the birth of a child, which may actually begin during pregnancy. 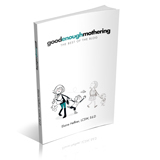 These ideas do match the experience and feelings of many mothers, especially in the early months of new motherhood. Often, mothers feel resistant to returning to their jobs outside the home and if financially feasible begin to consider the possibility of not returning to work. It is hard for them to realize that these are not permanent feelings and the time will come when interests other than their babies will reassert themselves. It is certainly clear that longer maternity leaves and the option of returning to work at a future time, would be of greater importance than a coach in supporting mothers through a physically and emotionally demanding period. Many women do not have the option of taking more time off from work and perhaps a coach would be useful in helping them set priorities both at home and work, and in setting limits to make sure that happens. Facebook COO Sheryl Sandberg, author of “Lean In,” has as an objective women reaching top positions at work and encourages women to be more assertive and outspoken at work. She recognizes the conflicts that exist between work and family life and points out that choices between the two involving compromise and sacrifice have to be made constantly. Many women are in jobs that would make it extremely difficult to set the kind of limits at work Sandberg writes about and that coaches are meant to help them achieve. Taking control by deciding on what is important to do at work and asserting your needs as a parent such as leaving by a definite time, might prove costly – especially for women who are financially dependent on their jobs. It is encouraging that companies are increasingly trying to provide for the needs of working parents. But much more than coaching is needed as a support system to relieve meaningfully the contemporary stress on families.